MantisX. Being called “the instructor in your pocket” MantisX attaches to your firearm and sends real time data back to your mobile phone that will guide you in correcting the most common deficiencies as a shooter. Tired of that grouping being too high or too far to the left? MantisX will be your new best friend. 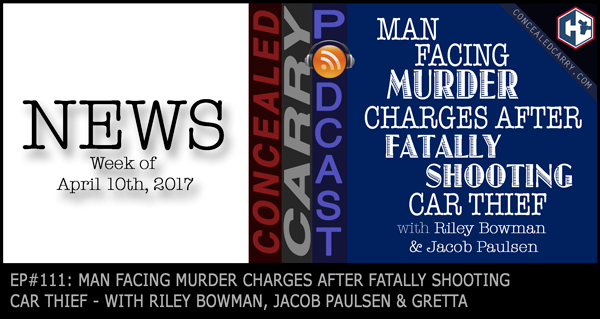 Watch Riley and Jacob’s review and learn more at www.concealedcarry.com/mantisx and for a limited time save 10% with a special coupon code, but you gotta listen to the episode to get it!